Rare and historic aircraft well preserved and ready to take to the Sky. This aircraft has was flown by Bob Cummings (Bob is the godson and was taught to fly by Orville Wright), an influential actor and WWII pilot and general aviation ambassador. This aircraft is in outstanding condition and will continue to provide the gift of flight to a new generation. Airframe Details: TT2499 No known damage ......more. A breath-taking total restoration of a classic WWII era primary trainer. Fly solo from the front seat. An absolute hoot to fly. Comes with a spare overhauled pickled engine. Add $2,500 to price with electric start. 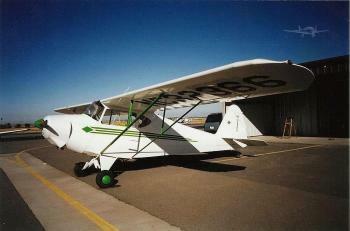 Airframe: 500 TT Total frame up restoration done in 1987. Wing rebuilt also!! Engines: 200 SMOH O-145 B-series Lycoming 65HP Comes with a spare overhauled pickled engine......more.